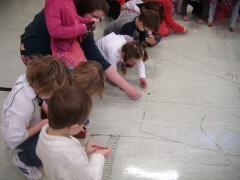 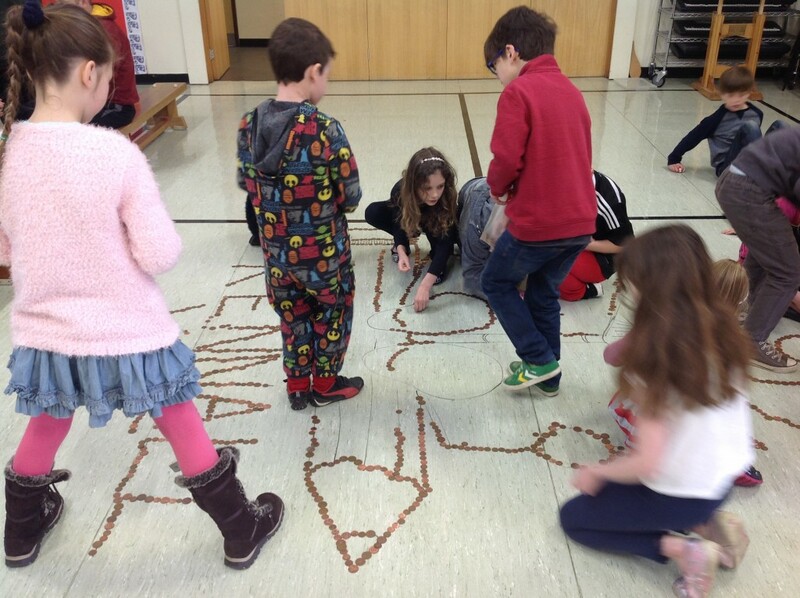 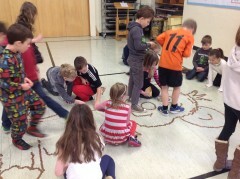 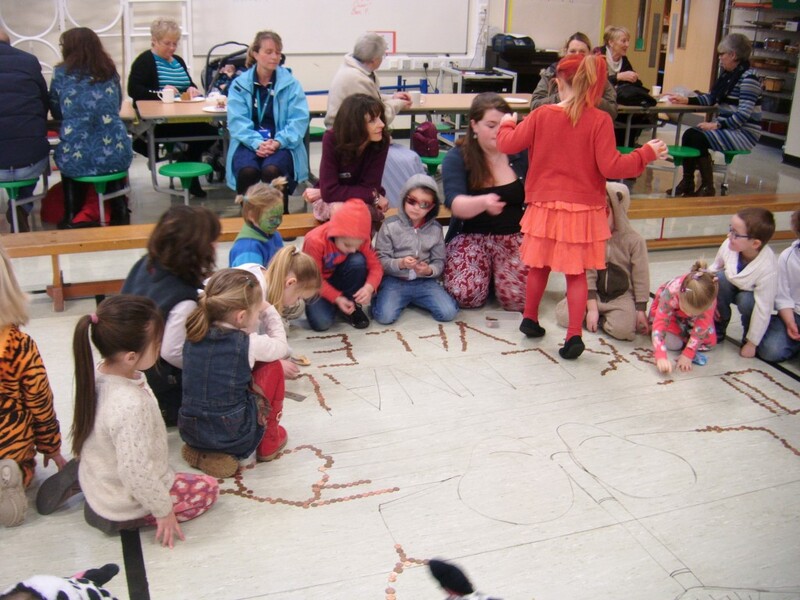 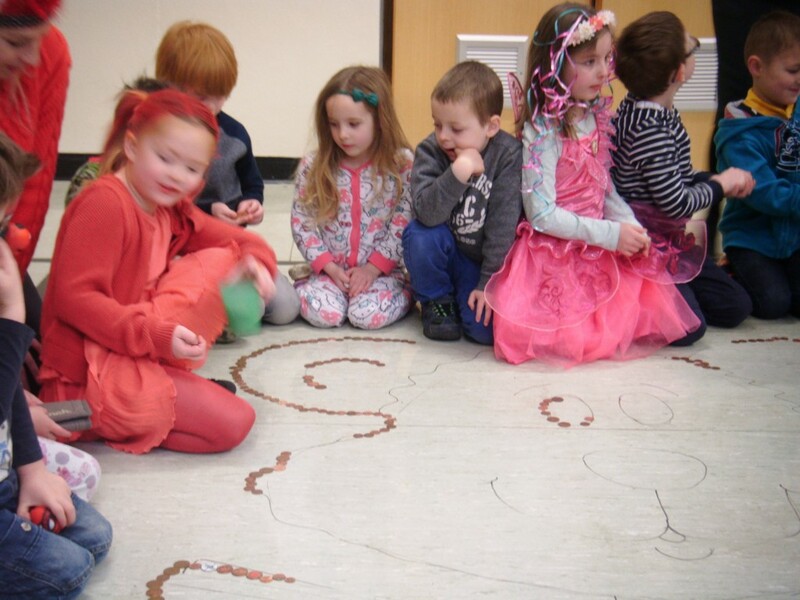 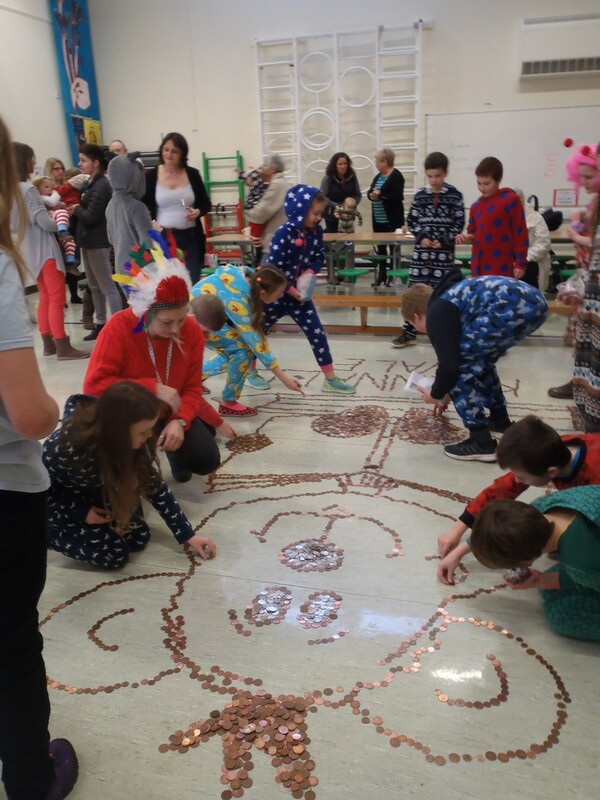 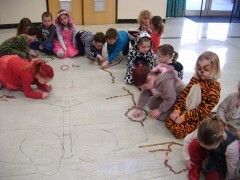 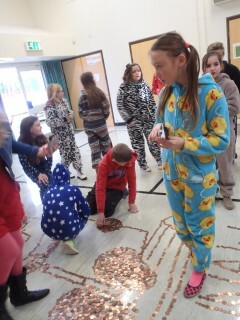 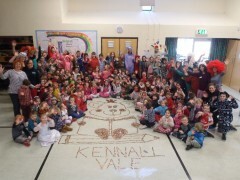 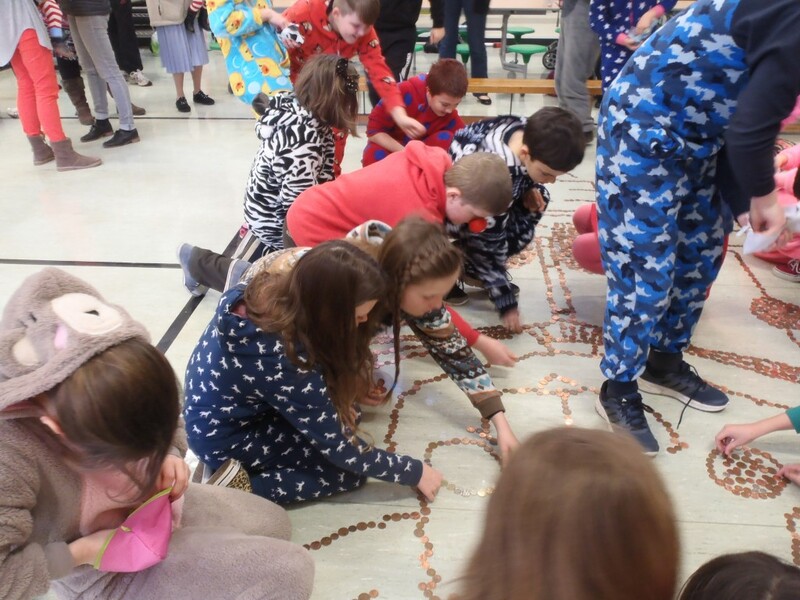 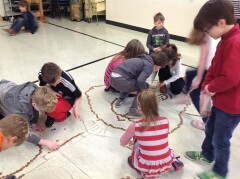 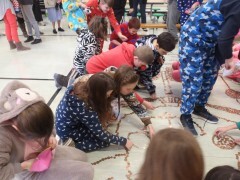 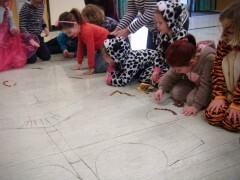 Whole school with the Penny art they have created. The children all brought in loose change and with the help of the talented Mrs Medlin we created this teddy on the hall floor. 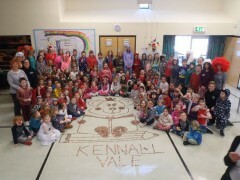 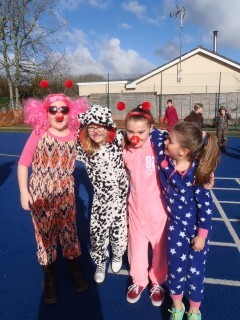 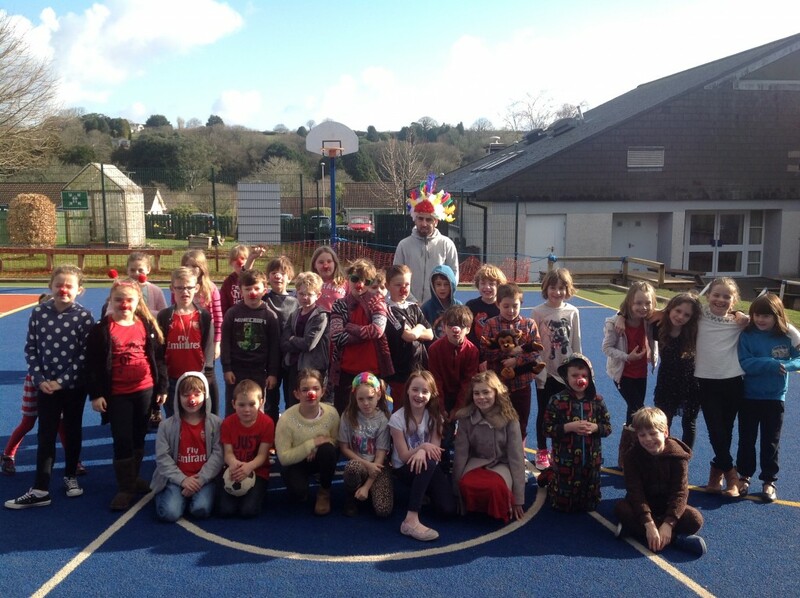 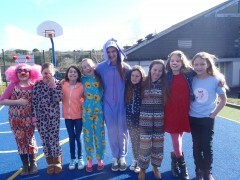 When the teddy was complete we gathered the whole school together for a photograph. 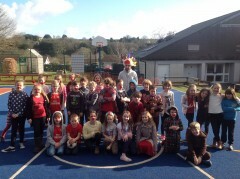 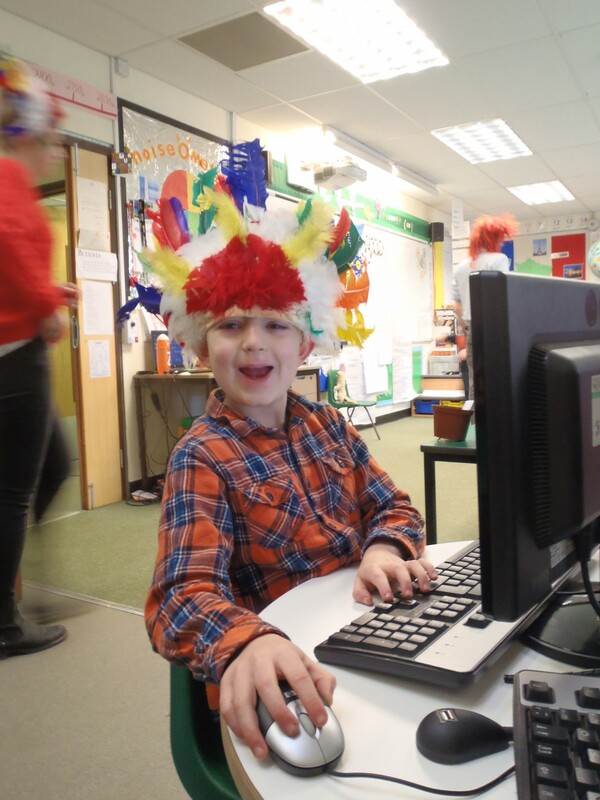 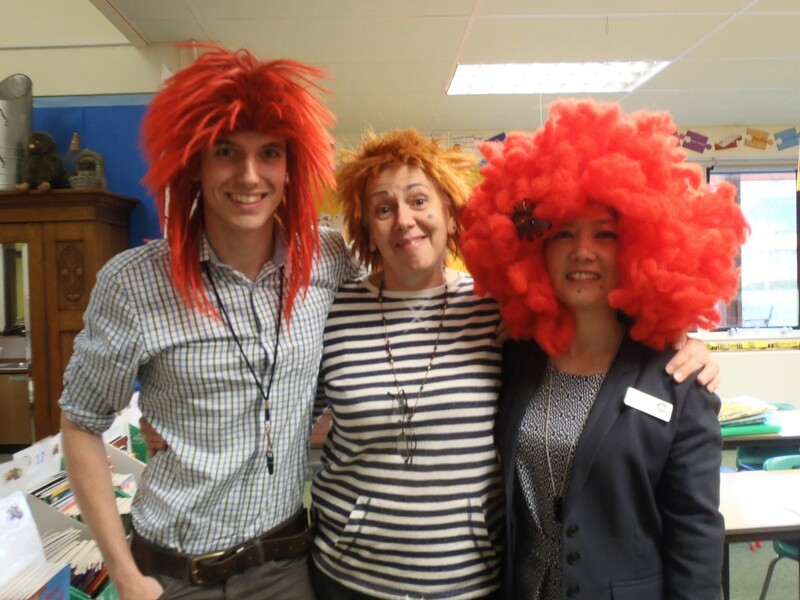 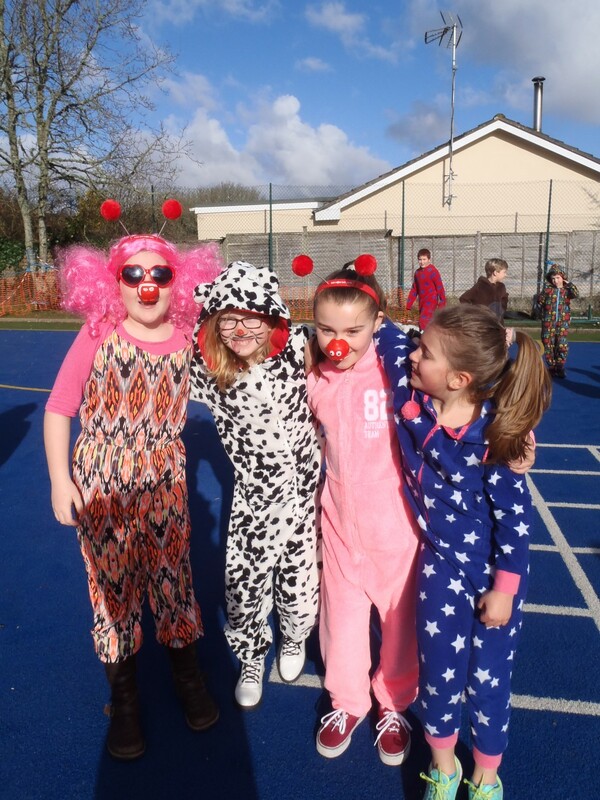 Thank You Mr Jephcott for climbing the hall ladder to get these great shots of us all!